6 Days of Christmas – Middletons Steak House Review! 1 Week until Christmas! I just finished my Christmas shopping and wrapping (for friends any way) so thought I’d write a quick review of the Middletons steak house I went to yesterday for my sisters 18th. They do have a lovely selection of vegetarian dishes so was very impressed by that considering its a steak house! But I will admit all the meat looked pretty delicious! 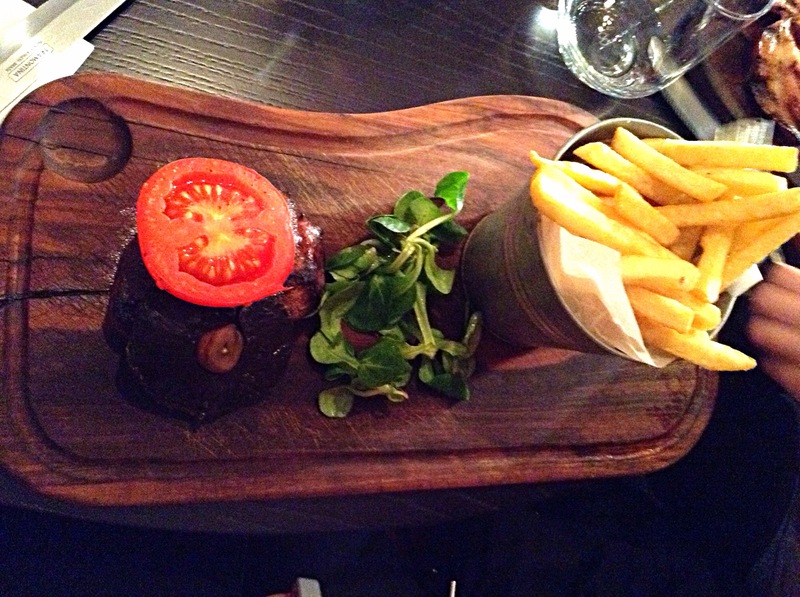 The 6oz fillet steak medium – well done, looked and tasted yummy I hear! 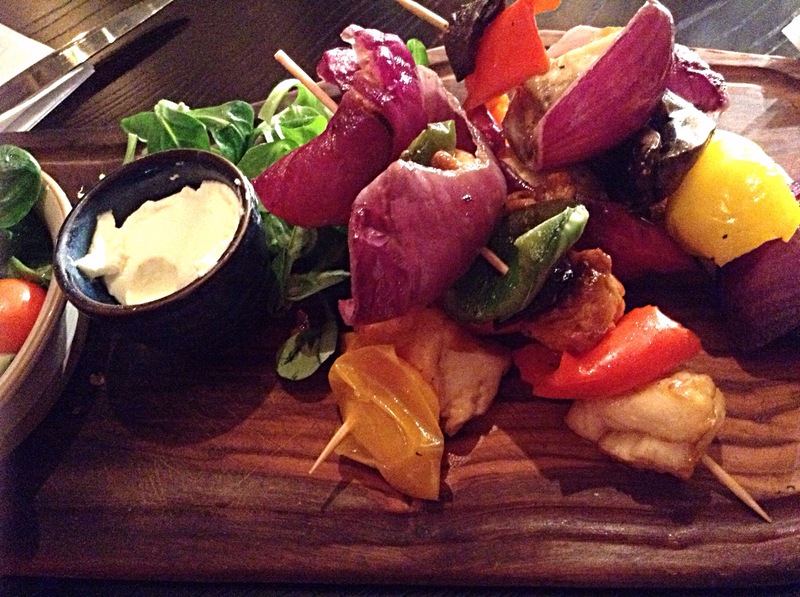 Trying to be slightly healthy I went for the veg and halloumi skewers with garden side salad. I have to say I pleasantly shocked! Portion size was just right, big but I still managed to eat it all don’t worry! The halloumi wasn’t at all rubbery as it often is. Instead, it had a delicate salty flavour and had a slightly oozy quality to the middle. The salad also came with a mint sauce, which although I wasn’t overly keen on to be honest, didn’t taste unpleasant an d was lovely with the chunky red onion, pepper and mushrooms. For dessert Holly and I decided to shair a cheeseboard. Classy I know! But it really was a delicous way to end the meal; 4 different cheeses, crackers, chutney, celery and grapes. They had a great selection of ‘classic’ desserts as well, such as this gorgeous cheesecake, creme brulee and eaton mess. Overall, it was a lovely evening, the interior is stunning and the food of equal quality and great prices/portion sizes. I can’t wait to go back, even as a vegetarian, very soon I’m sure! They even presented Holly with this plank with a mini brownie chunk and cream as a birthday treat!